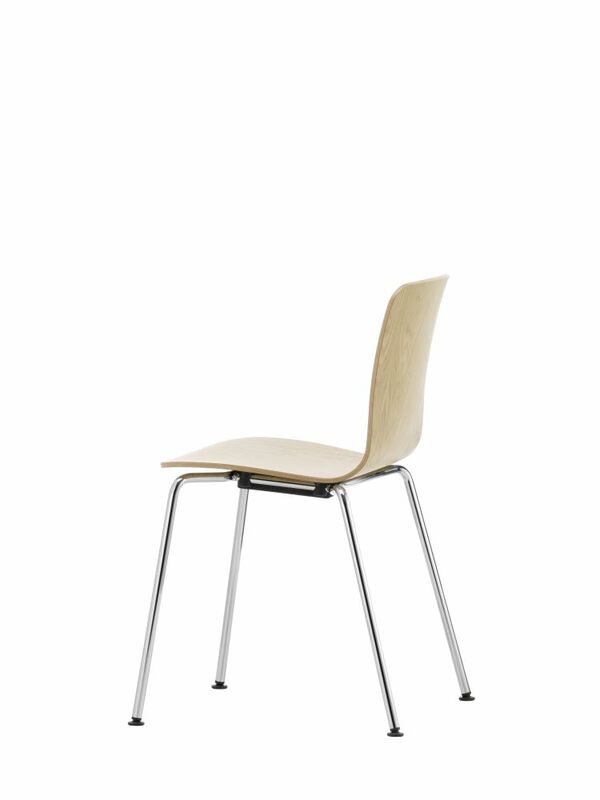 The HAL Ply Tube Stackable by Jasper Morrison is ideal for settings requiring elegant, high-quality seating that can also be stacked and stored away from time to time. The seat shells are available in a choice of wood varieties. Stackable four-legged tubular steel base, chrome-plated finish. Up to 6 chairs can be stacked on the floor, up to 15 chairs on a stacking trolley.